LiftMetrix, a leading social media analytics company, announced today that it has integrated Twitter’s new Engagement API into its platform, allowing brands to measure ROI and receive daily recommendations optimized to their business objectives. Twitter worked with a small group of select companies during the pre-launch beta period, and LiftMetrix used this early access to the Engagement API to develop a solution that provided deep insights benefitting its brand customers. 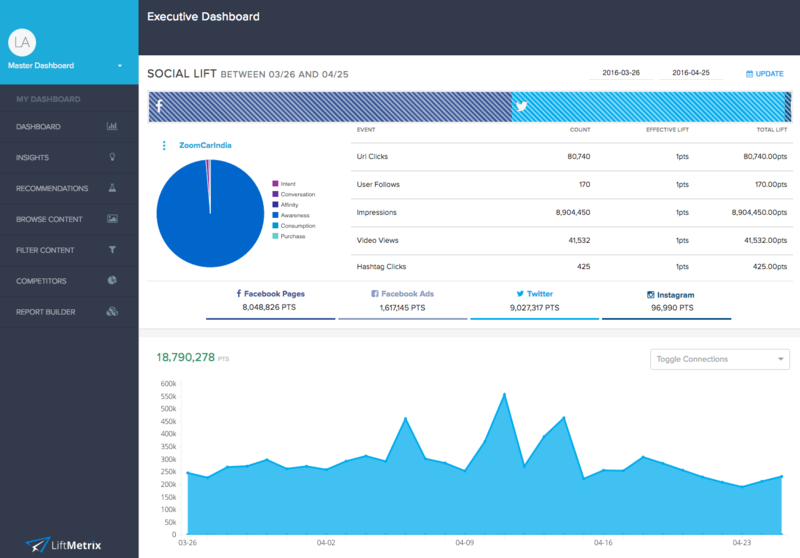 Through the Engagement API, LiftMetrix now supports 18 additional Twitter metrics such as impressions, video views, link clicks, and mobile app install attempts that were previously impossible to track. LiftMetrix has integrated these new metrics across their platform to strengthen their ROI measurement capabilities, campaign analytics, natural language insights, and daily recommendations. One such satisfied client is The Dodo, the premier digital publisher of animal related video and editorial content. Liftmetrix allows The Dodo to obtain valuable metrics on video views and clicks and through customized recommendations, the highest return on investment as it pertains to content creation. LiftMetrix continues to increase its data access, which now includes integrations such as Facebook Ads, Twitter Ads, Instagram Ads, Adobe Analytics, Google Analytics, and Twitter Engagement API. 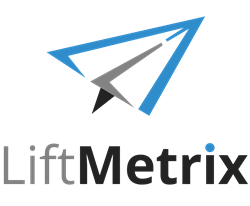 LiftMetrix provides smart social analytics that interprets your social media data and delivers daily recommendations to help you optimize and ultimately increase the return on your social media investment. For more information, visit http://www.liftmetrix.com.